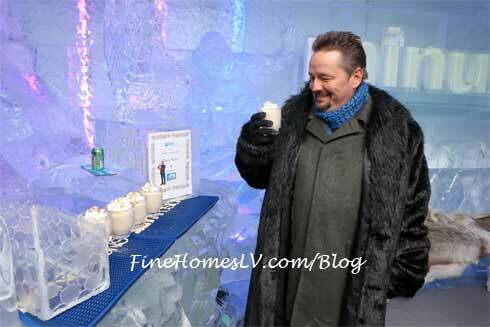 Mirage headliner Terry Fator was presented with his signature drink – Darth Fator by Minus5 Ice Bar. 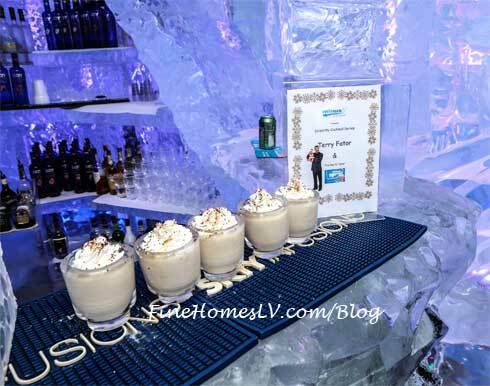 Minus5 is the coolest bar in Sin City, continuing its celebrity cocktail program. This exclusive cocktail features a delightful blend of Skyy Vodka, Dark Crème de Cacoa and Gaetano Hazelnut Liqueur, served in the famous Minus5 ice glasses. Other celebrity cocktails include Holly Madison’s Holly Mad-ICE-on, Carrot Top’s Heat Miser, Human Nature’s Inhumane Nature, Laura Croft’s Hypnoti-School Girl, FANTASY’s Fant-ICE-see, and Frankie Moreno’s Crown and Coke-o-nut. Fator and his wife Taylor Makakoa spent the afternoon enjoying the 1,200 square feet and 80 tons of ice that Minus5 has to offer. 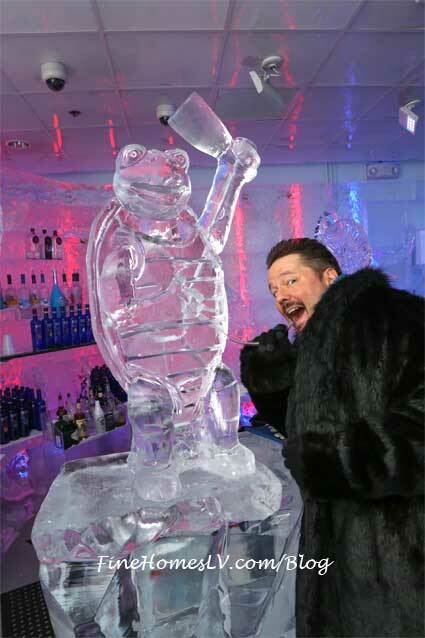 To make the multi-talented entertainer feel at home, the ice bar also unveiled its newest handcrafted ice sculpture – Winston the Impersonating Turtle.